Call for more details and project quotes. 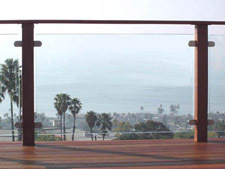 Stainless Steel and Tempered Glass to provide the most un-obstructed view from your deck. > Ideal for new construction & retro-fits. > 36" & 42" heights available. > 3/8" Tempered Glass features beveled edges. > Glass available in custom widths. **Discounts available on 25+ glass panels. 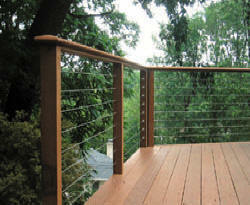 check with local requirements for using and installing glass railing systems. 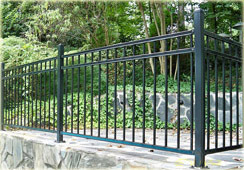 Constructed from high strength Steel and Powder Coated for long lasting performance. 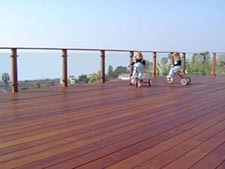 Montage railing offers a sturdy and open solution compared to built-up wood railing. > Ideal for new construction & retro-fits. > Open design 3 rail panel. > High performance/long lasting powdercoat finish. > Optional decorative accent rings. 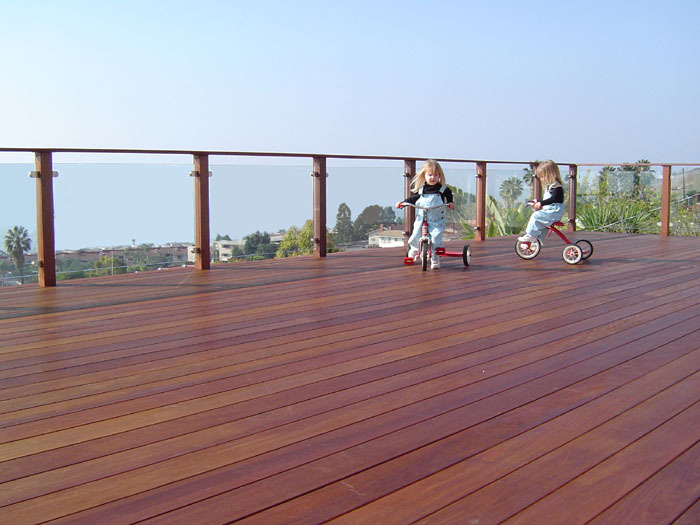 Enhance Designer Rail Aluminum balusters with matching Designer Rail post caps. market. The look and feel is similar to painted Iron, authentic Copper and Bronze. Simple installation with construction grade adhesive. 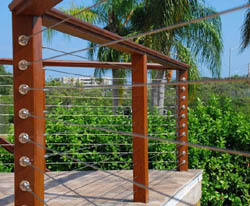 Made to fit 4x4 (3-1/2" x 3-1/2") rail posts.